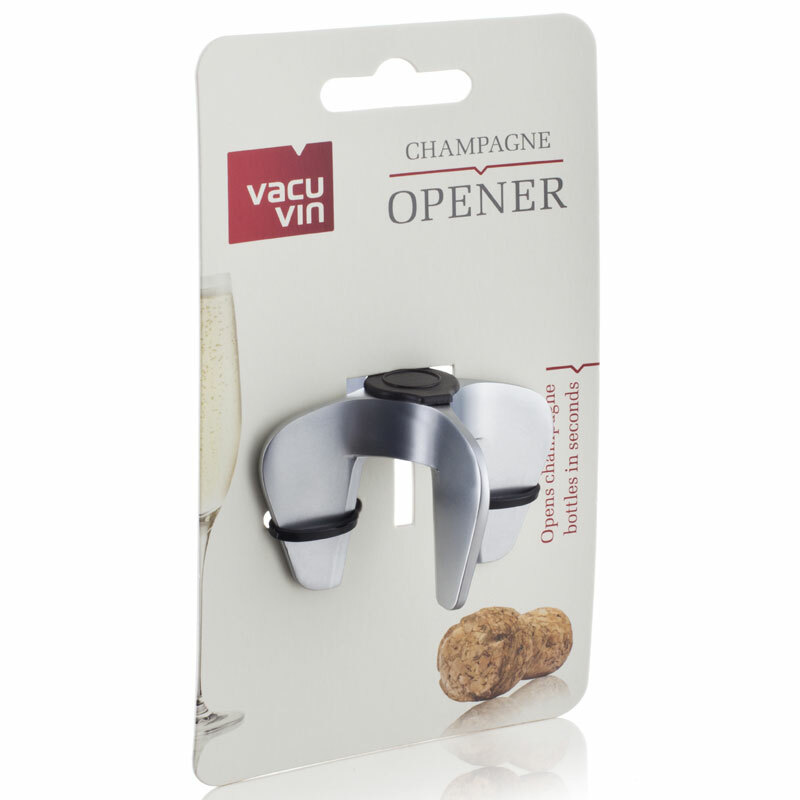 The Vacu Vin Champagne / Sparkling wine opener allows you to easily remove the cork from the bottle, minimising the risk of the liquid escaping! 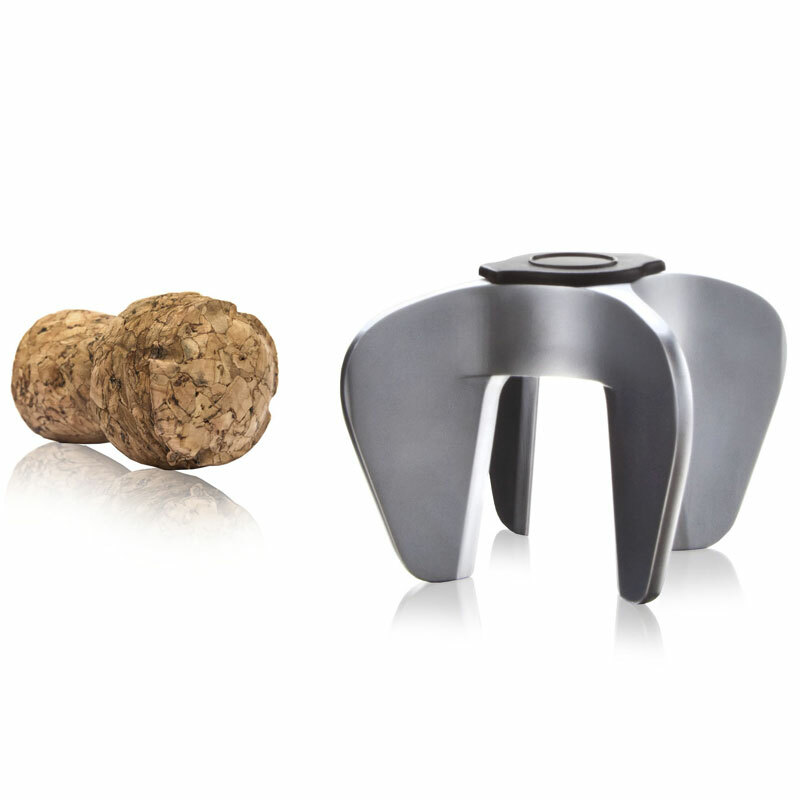 Place the opener over the cork and gently remove the cork. On first looking at the product there are no instructions as to how it actually works however when I try it out it may be quite simple.I also purchased the other sparkling wine bottle opener which came in a box with further instructions and appears a better product, but have not tried them out yet. I've bought them as Christmas presents so I haven't used them but they look robust and well made; also they were much chealer than other companies.